The municipality of Cromstrijen wants to develop a nautical center on the banks of the Hollands Diep, complete with a marina and (vacation) homes. This will be combined with a large nature reserve and recreational facilities. Vista won the design competition with an ambitious and integral landscape concept. The emphasis will be on the development of large-scale, dynamic tidal nature. 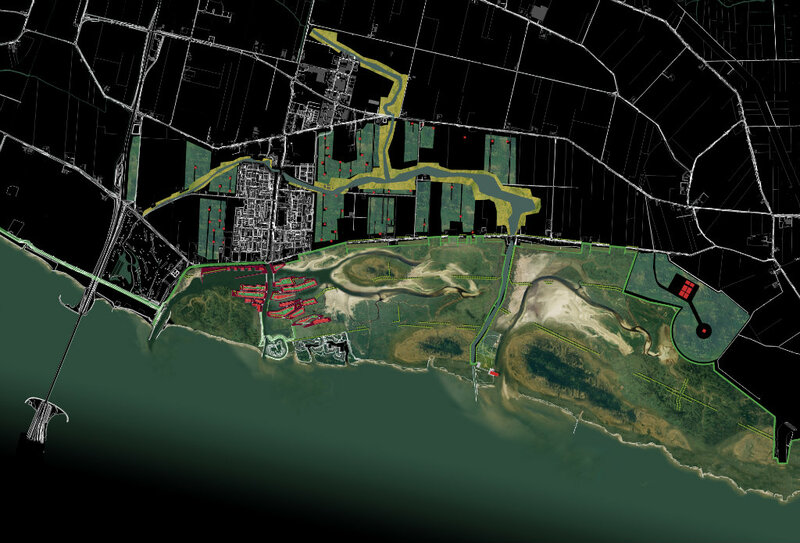 The construction of compact housing islands in the tidal area to the south of Numansdorp is proposed, surrounded by public footpaths and enclosed by narrow bridges. A nature center will be built for visitors in the center of the area, near the mouth of a creek. 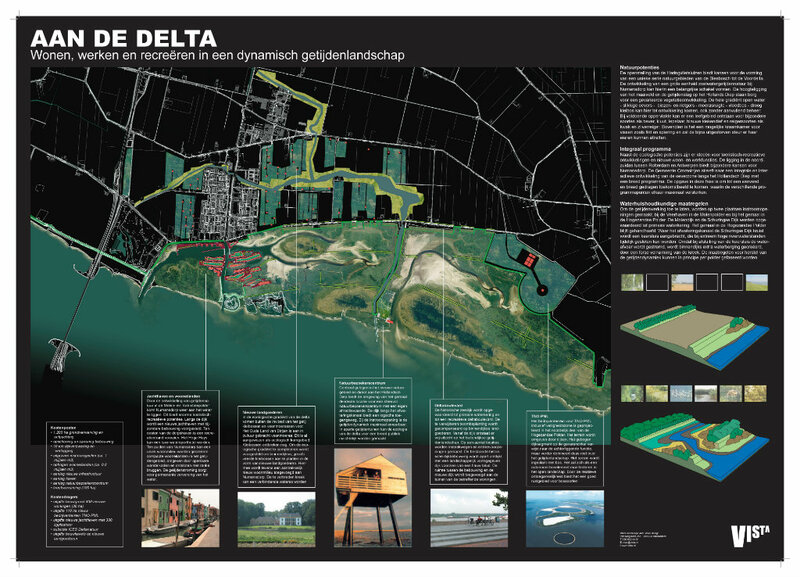 The ecology of the delta can be showcased in separate tidal gardens.